Surprise your Valentine with a buncee…from the heart! Valentine’s Day is the perfect time to express your love for others. Whether it’s a husband, wife, girlfriend, boyfriend, child, parent, or your ultimate secret crush Valentine’s Day is the day to say ‘I love you!’ in the most sincere, heartfelt way. If you can’t be with your loved ones, sending a quick and easy to make buncee lets them know you are thinking of them. All this pressure can make finding just the right way to express your love stressful and challenging. Don’t worry though, with buncee.com you can easily create the most amazing greetings with your favorite pictures, memories, music and more! Got your own tips? Leave them in our comments and we might feature them in a buncee! 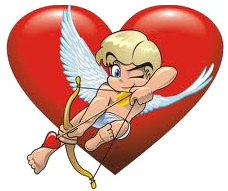 VALENTINE’S DAY FOR YOUR CHANCE TO WIN AN APPLE IPAD MINI! Click here for contest details & rules. … share the LOVE & WIN! **Apple is not a participant in or sponsor of this promotion. for a chance to win a 16GB iPad mini Wi-Fi!! To win, all you have to do is create a Valentine Themed buncee (ie. E-card, greetings, scrapbook, music or video mix, memories, tributes, celebrity crush, romantic dinner ideas). Send them to your friends, family, children, boyfriend, girlfriend, significant other, secret crush – you get it! The buncee with the most likes on buncee.com wins! It’s that easy! Click here to read the official CONTEST RULES. How to enter the buncee Contest, in three steps. Sign up or log in to buncee.com. Click the “Start Here” button, and create your Valentine Themed buncee! When you’re finished creating your smashing Valentine buncee, choose the category “Holiday” (make sure your buncee is public), click “Publish” to submit your buncee, and then share via email and/or your favorite social networks! The buncee with the most number of likes, “♥”s, on buncee.com wins! When you publish your buncee, let your friends know via email or social network, and encourage them to vote for your buncee holiday masterpiece! You can do this by simply clicking the “Publish” and/or “Share” buttons when you’re on the website! The winner will be selected on February 13th, 2013! 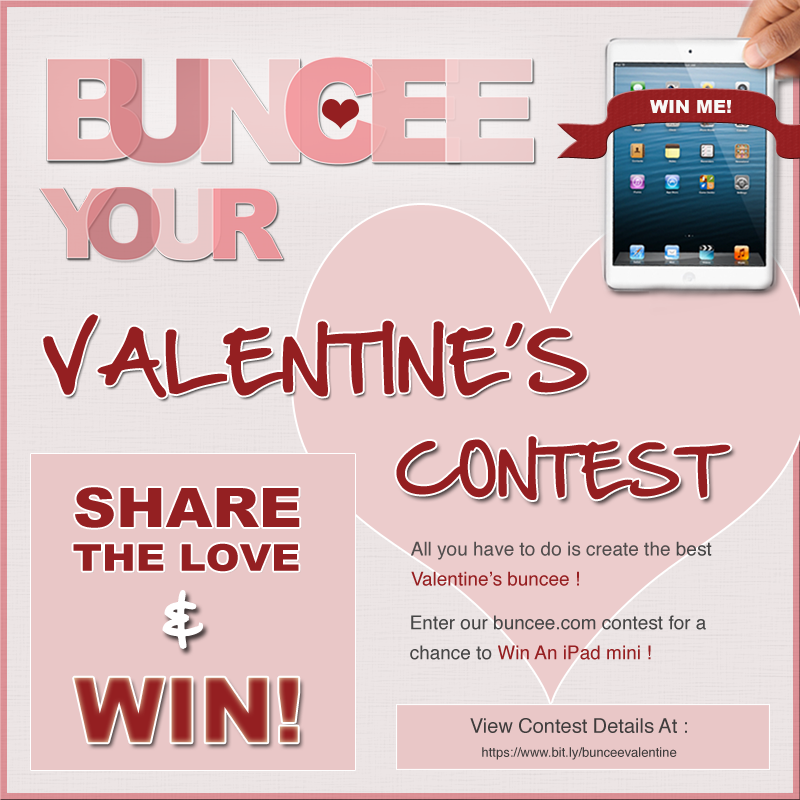 So buncee your hearts out and gain those “♥”s to win your iPad Mini! We’ll be seeing you on buncee.com! – Your Source for free online sweepstakes, contests, games, and free stuff on the Web. Free Stuff – Over 72 Categories of Free product samples and Free Stuff! New freebies for everyone updated daily. Earlier this week, we shared the current leading entries in our ‘Buncee Your Holidays’ contest. Today, we’d like to share some tips with you on how you can turn your simple buncee holiday greeting into a chance to win yourself the Apple iPad mini! Remember, it’s not too late the contest runs until New Years and we’ll be announcing the final winner around January 3, 2013. 2) Share your buncee on all your social networks with a note asking your friends to vote for your greeting. Make sure you are clear that they need to click on the ‘like’ on buncee.com for your vote to count! ‘Buncee Your Holidays’ Contest Update!! The ‘Buncee Your Holidays’ Contest is in full swing and if you haven’t checked out our buncee user’s fabulous creations, you can see all the entries by clicking here! We currently have 3 great buncees leading the competition, maybe you will find them inspiring enough to create your own entry…it’s not too late to win that Apple iPad mini!! Click on the image to see the buncee, or click on the user’s name to see all their buncees! 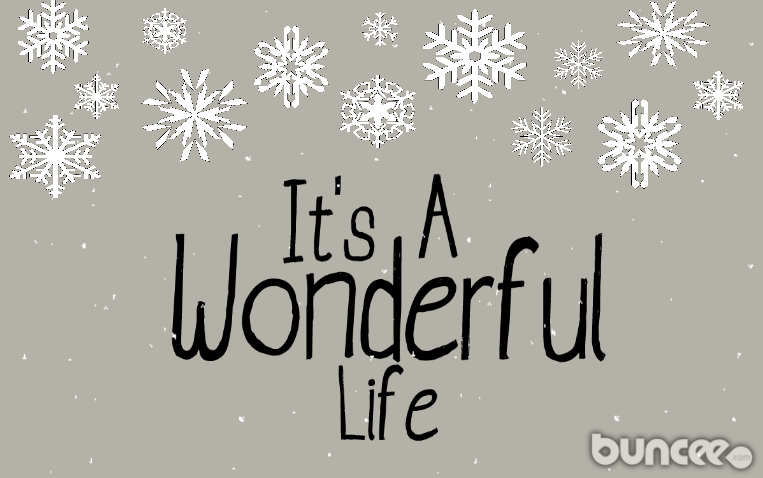 #3 on the leaderboard is Fariyal Qureshi‘s ‘Merry Christmas!’ with 11 buncee likes! #2 Entry is Brandon Wightman‘s ‘Christmas Soldier’ with 12 buncee likes! Our #1 spot is currently held by ‘Diane Hular‘ for ‘Merry Christmas World!‘ with 17 buncee likes!! Stay tuned for our next blog post where we give you tips on how to get more ‘likes’ for your ‘Buncee Your Holidays’ entry. Remember, any holiday greeting can be a winner – make sure you share with your friends on email & social networks to get more likes!! 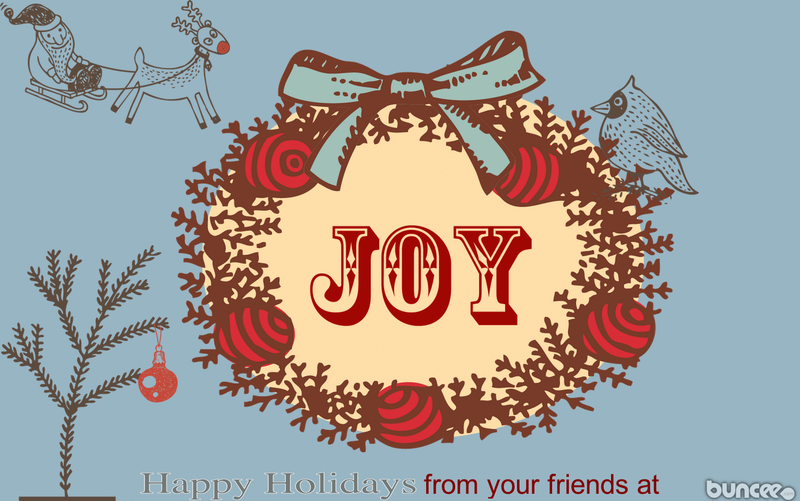 … to buncee your holidays & WIN! 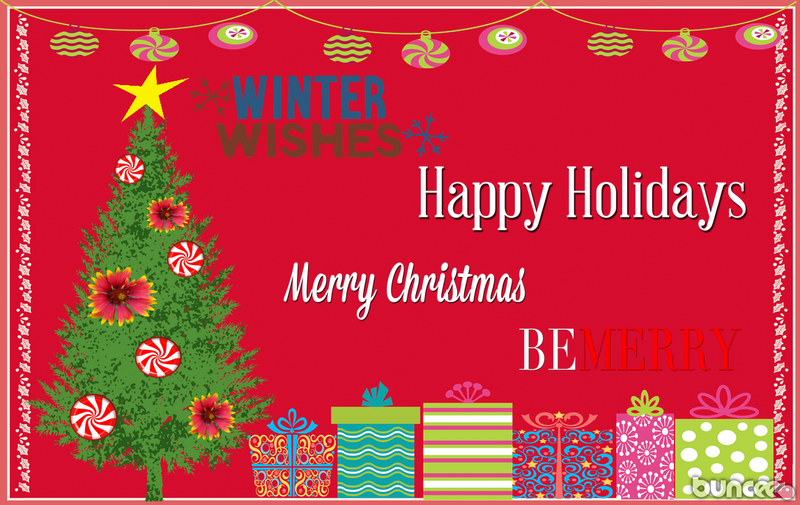 This holiday season, send your most creative greetings using buncee.com for a chance to win a 16GB iPad mini Wi-Fi!! 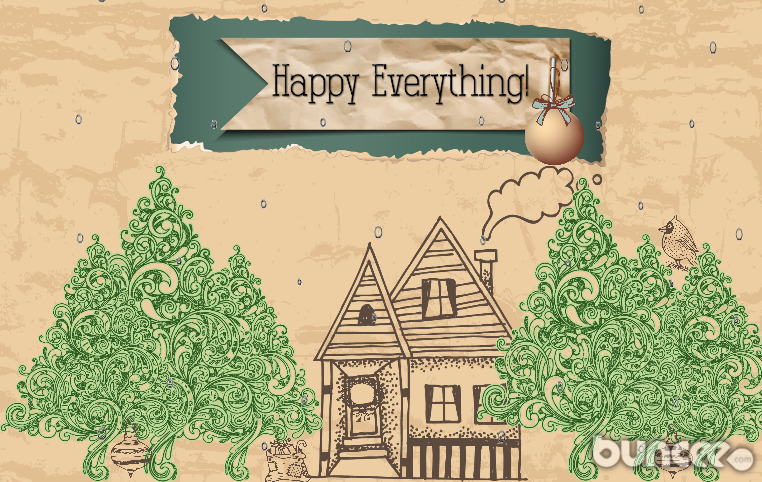 To win, all you have to do is create a fabulous Holiday buncee (ie. 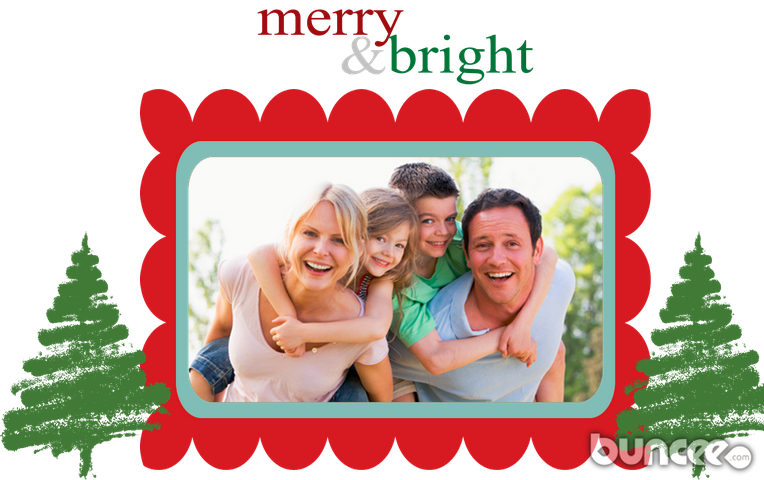 E-card, Holiday Music Mix, Photo Collage, Winter Greeting, Funny Holiday Video). Send them for Christmas, Hanukkah, Kwanzaa, New Year’s, or general Season’s Greetings! The buncee with the most likes on buncee.com wins! Sign up or log in to buncee.com. Click the “Start Here” button, and create your Holiday Themed buncee! When you’re finished creating your smashing Holiday buncee, choose the category “Holiday” (make sure your buncee is public), click “Publish” to submit your buncee, and then share via email and/or your favorite social networks! The winner will be selected on January 3rd, 2013! When you send a buncee as your holiday e-card to someone, you’re not just sending him or her an e-greeting; a buncee is more than just that! You’re sending them a personalized, one-of-a-kind, gift! So, after much anticipation, Buncee.com has added some exciting new features to bring you utmost fun, ease, and state of the art appliances when you creating your own buncee e-greeting this season on buncee.com!! New Holiday Graphics for Creating Your buncee – Buncee has a vast new selection of stylish graphics- backgrounds, messages, stickers- for you to use when creating your buncee… Take a look! There’s something for everyone! Share Your buncee to Your Email Contacts in One Fell Swoop – When you want to send your buncee to a group of people, and don’t wish to copy/paste/type in all their emails, buncee has a new group email tool for you! With just a click in the buncee share popup, you can now connect to your Gmail and Yahoomail accounts import and to instantaneously share you buncee to them! Tags – Search and discover various buncees with Buncee Tags! You can search for tags in the buncee header search or follow your own trail of buncee tags from the view buncee page! About Page – Take a look at buncee’s revised about page! When you want to send a “mini” gift, you should totally download Buncee Bits for your iPhone, iPad, and iPod Touch! If you already have Buncee Bits on your mobile device, we highly reccomend you install the update from the Apple iTunes App Store! So what are we waiting for? Let’s start creating and sharing on buncee.com! With these sweet new features and graphics, what will you be sending as your buncee “gift”? Let us know in your next buncee, and in a comment below! Buncee Bits on the Apple iTunes App Store !! AppAdvice and Yahoo!News ~ Sharing the Love with Buncee! Buncee loves the just-published Yahoo! News writeup about using buncee.com for creating and sharing a holiday greeting, and the AppAdvice article about our app buncee bits! When you really need to express yourself and simple text just can’t get the job done, there is Buncee Bits. It allows you to create personalized graphics in a snap, and deliver them directly to your recipient or share them with the world.